Driving whilst drunk or under the influence of narcotic substances is a serious crime in many countries around the world. Most countries consider drunk driving a serious offense, because it is a major cause of thousands of accidents. Many people drink and drive because they have previously arrived home safely while drunk- without harming themselves or others. However, making it home safely whilst drunk doesn’t mean you made the right decision. There is no such things as ‘safe’ drink driving. Alcohol has negative effects on your motor skills and ability to make judgment. Alcohol makes you think you are driving safely – while you are not. Alcohol intensifies your tendency to take risk. Other effects of alcohol include reduced ability to respond to several stimuli (slower reactions), impaired vision, shorter concentration spans and reckless driving. These factors increase the chances of harming yourself or others in an accident. There are thousands of alcohol-related accidents every year. If you don’t want to become a statistic, you can protect yourself and others by taking a cab or driving only when you are sober. Drink driving has legal repercussions. All Australian governments have introduced stringent laws to curb this behaviour. Australian authorities have zero tolerance to drunk driving and violators are arrested and charged. Although DUI (Driving Under the Influence) laws vary from state to state, all states consider it a crime to drive when your blood alcohol level exceeds 0.05ml per litre of blood. The laws also require Probationary licence-holders (P Plates)and Learners (L) to have 0.00 blood alcohol reading. 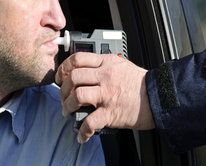 Police have the power to randomly stop drivers and conduct a breathalyser test. The legal repercussions of driving while drunk include revocation of your licence, a criminal conviction, fines or in severe circumstances, time in gaol. The consequences of drink driving are grave. He was having drinks with friends at a club in Sydney to celebrate his birthday. When it was time to leave, Mark was asked to take a cab by the club manager but he refused and insisted on driving his car. As he was driving home, he passed a police car and the police officers inside suspected that Mark was drunk, because he was swerving on the road. The officers noted that Mark had slurred speech and general incoherence, and they could smell a strong odour of alcohol. They performed a breathalyser test on him and found out that he had a 0.10 blood alcohol. Mark was soon riding in the back of the police car. He spent several hours in police custody and was charged with driving under the influence of alcohol. He pleaded guilty in court and his licence was disqualified. When you are arrested and charged with drunk driving, it is important that you get good legal representation. A DUI charge can be costly and it could cost you not only your licence, but also a criminal conviction and possibly time in gaol. The consequences and penalties are harsh if it is a second or subsequent offence. Luckily, you can minimise these consequences by hiring the right legal counsel. A good DUI lawyer is able to guide you on all stages of the court case, because they know the court system and they have ample knowledge on DUI cases. If you plead guilty, your lawyer might be able to get you get you a good outcome by convincing the magistrate not to disqualify your licence or convict you. In New South Wales this is known as being dealt with under section 10 of the Crimes (Sentencing Procedure) Act 1999 (NSW). When charged with a DUI offence, the best thing to do is contact an experienced lawyer for an appointment to discuss the case and decide the best way forward.